There has been much discussion about the increasing possibilities available to existing systems by using the Internet of Things for two way transmission of data for logging and control purposes. However, there is so much more than just working with data in a more efficient and cheaper method. The IoT concept also allows devices to have increased levels of intelligence to further their defined tasks; this has already been demonstrated in many consumer devices such as smart phones that can download and install operating system updates without any intervention by the user. If designed appropriately, IoT devices can be updated with new firmware just like the smart phones. This can be done by either using existing hardware such as ‘Electric Imp’ modules that can be fitted in existing hardware, or creating new or re-designed hardware with the appropriate microcontroller/wireless chip combination. 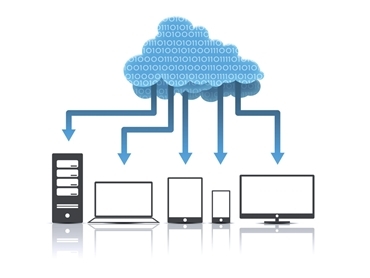 If devices can remain connected or connect when necessary, they can also offload processing requirements to the cloud service or other connected server hardware. By programming devices to simply send, receive and act on data, the processing work can be offloaded to the server-side, reducing the requirement for faster CPU speed, memory etc., which in turn can reduce the hardware purchase cost, physical size, and also the power requirements for the device, saving money at all stages of operation. Within the broad field of vending machines, point of sale systems, unattended ticketing machines and more, many things can be done to simplify stakeholders’ lives. Product prices can be updated in real-time; data from the POS machine can be served to the central host giving real-time data and sales analysis; or environmental data can be used to price cold drinks in real-time. The concept of supply and demand can be tweaked to one’s advantage with the right technology. Service calls and device monitoring can also be managed with the same technology. Almost every public transport system has some sort of PIDS (Passenger Information Display System); however their level of usefulness is usually determined by the ability of the system to run on time. Remote displays may be programmed with timetable data to show when services should arrive, and on-board displays can indicate useful information for passengers such as the next station, for instance. In the event of diversions, breakdowns, late-running or data required in an emergency, the ability for a bus or train to communicate with a central server can allow relevant data to be displayed in real-time to the required PIDS units. Redundancy can be employed to allow for various failures; for example, RFID technology at a railway station can be used to detect when a particular train arrives and departs. Data updates can also be managed remotely or even on the move – for instance when timetables are changed, stations are altered or new information is required to be displayed. Cube satellites are tiny satellites that are launched into space along with regular commercial satellite payloads. These tiny satellites contain inexpensive consumer-level microcontrollers that control sixteen AVRs, each running their own firmware, collating data and sending it back to earth via UHF radio link. The firmware for each of these AVRs can be uploaded to alter the satellite’s function when required. The IoT is more than just wireless data – it’s about control. Having more control over one’s assets and revenue stream can increase business efficiency and profitability. With the right applications and minds on the task, even the simplest thing can be constantly tweaked to maximise gains. As a partner, LX group will discuss and understand the client’s requirements and goals, and help them navigate the various hardware and other options available to help solve their problems. LX Group is an innovative contract electronics design company specialising in the design of embedded systems and wireless technologies.